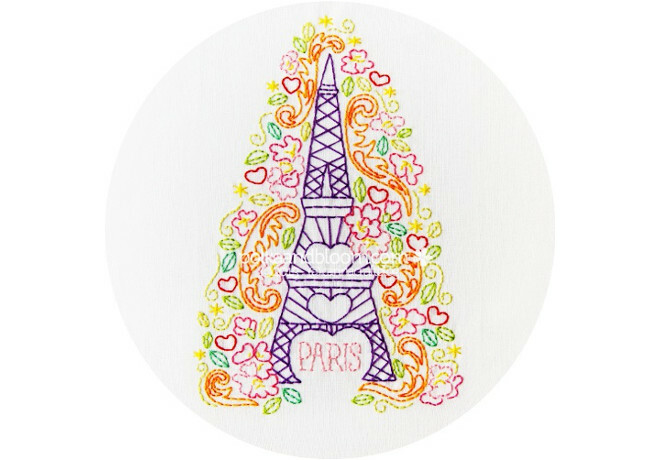 Paris Spring is an original embroidery pattern from Polka & Bloom. This pattern is inspired by Paris! Old Metro station signs, Art Nouveau and spring in Paris, so romantic! But if you're looking for something less romantic, the pattern also includes a version with no hearts. The pattern and images are copyright Carina Envoldsen-Harris 2013 and are for personal use only. You may not sell the pattern or any items using the pattern.